I loved Jessi Kirby's book In Honor and can't wait to read this next book. The story-within-a-story and Robert Frost's poem woven through this make it sound like a great book! 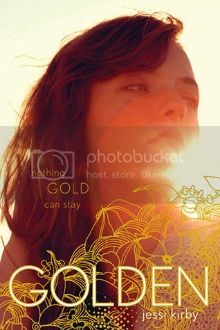 I already have Golden on my to-read list and I'm really excited about it. Great pick and I hope you enjoy reading it too.